1. This product is currently in stock in our US,UK,DE and AU warehouse. For customers from the above areas, your printer will be shipped from oversea warehouse directly.If it is out of stock, your printer will be shipped from China.there will have remote charges if shipping address is remote. 2. The specifics of this printer at oversea warehouse are unified: black color acrylic, 1.75mm filament diameter, 0.3mm nozzle diameter. 3.For the 3D touch sensor just have stock in Chinese warehouse , if you order together with the printer, the printer will be shipped from oversea warehouse while the sensor is shipped from China. 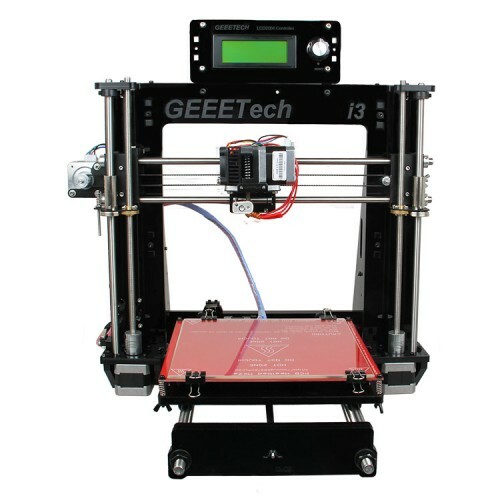 This Geeetech I3 pro B 3D printer is designed and manufactured by Shenzhen Getech Co., Ltd based on Geeetech I3 pro, except its simple assembly, easy debugging and more stable performance, compared with the I3 pro, I3 pro B features a newly added potential for 3D printing—support 5 types of filament: ABS, PLA, Wood-Polymer, Nylon and flexible PLA., create flexible hinges, joints, shaped parts; enable you to get the most out of your 3D Printer. 1.Multiple filaments compatible: ABS/PLA/Flexible/PLA/Nylon/Wood-Polymer, making 3D printing creativity more flexible. 2.New GT2560 control system, a perfect combination of Mega2560+Ramps1.4. 4.Enhanced stability and reliability: 8- mm-thick acrylic plates and all metal carriages ensures more stable printing. 5.Paired with LCD 2004 panel & SD card reader ,support stand-alone printing. For detailed building instructions, please watch the video on youtube. I just bought a used I3-Pro-B. it needs some parts that you don't have listed. I need the Aluminum plate that goes under the Extruder to mount it to the holder and can we get more of the Plastic wire wrapping,and 2 of the LCD mounting bars. Hi, I bought an Acrylic_I3_pro B and mounted it. But, at the end, when connecting cables I realized that extruder fan cable is too short to be connected, what can I do? Hi!when I turned on my 3D printer the power supply broke out. What should I do? Hi! i received this printer for christmas and the left z-axis motor doesn't seem to work properly.what can i do? may i know the settings of the rods? I have this printer and it works great after some improvements, I would like to ask you specific instructions on how and where to connect the layer fan. Do I have to modify the firmware? Also, do you have any STL for fan duct? Great printer, greetings. Tengo esta impresora y funciona excelente después de algunas mejoras, me gustaría pedirle instrucciones específicas sobre como y donde conectar the layer fan. Tengo que modificar el firmware? Ademas, tienen algun STL para fan duct? Gran impresora, saludos. Hola, pedí esta impresora para el cumpleaños de mi hijo que vive en Francia. Le reenvié el paquete a finales de junio y me acaba de llamar diciéndome que la impresora es negra, no transparente... Que podemos hacer??? I received my new Pro B today. I was a little surprised and disappointed that a SD Card with the instructions and software was not included. From what I have read elsewhere, its sort of an unofficial standard or at least routine to include a how-to on a SD card to get you started. Hello, I've ordered Prusa I3 pro B (which is confirmed by email), but the delivered package was Prusa I3 pro W. I've sent an inquiry (by following "My Orders" _ "Order Consultation") as to what could be done few days ago, but so far, no reply has been given back to me. When should I expect to hear back from Geeetech? Thank you in advance! Hello, thanks a lot for your quick reply. I just sent an email with the order number, pictures of the delivered product, and short description to the given email address. I bought this and the extruder stepper motor isn't working. Hello Gerrod, Can u send me more details to jocelin.jia@geeetech .cn? Hi Luis, I have emailed you to help you,please tell me more details about your problem.Thanks. Hi. I got the Prusa I3 pro B, but the Z axis threaded rods are bent, and i think i damaged the bronze M8 nuts that go with it. Can i replace or buy them from you? Hi Maciej, Yes,of course,please email to victory.lei@geeetech.cn for further help.Thanks. Hi, after assembling the printer, tested and everything worked. After my first print the extruder does not heat up anymore! On the display the extruder temperature is the ambient temperature, about 23/0 ° when the extruder is not active. When active, the display changes to 23/220 ° but the temperature does not increase and remains 23 and never reaches the set temperature. Touching the extruder in fact remains cold. Hello, I have a small problem with my i3 for b when I go to print and the axis to go to the home position of the y axis goes to the opposite side where there it's not endstop. How I fixed this problem? Thank you very much Preložiť z jazyka chorvátčina for advice. Hi Matej, You can email our technicians for help:technical@geeetech.com.Thanks. Hi Alien, You can email to :victory.lei@geeetech.cn for help.Thanks. Hello, is it free shipping to Saudi Arabia, I want to buy one with auto leveling sensor. Hi, where do you ship the orders from? hello, Santa Claus gave me a Prusa i3 ProB kit.Thanks to your videos editing was easy, everything is well numbered, explained. Only I can not find further explanations to set up, connect to the PC etc. I found a video showing the operation of the button on the control panel but mine does not have a "push".Do I have to connect USB to the PC to set? and what do we do next? Setting, driver, software? I do not find. Thank you to inform me about the possible web links to use the beautiful machine that I assembled. Hi france,Sorry for late reply.You can email to our technicians:technical@geeetech.com,they will help you,thanks. 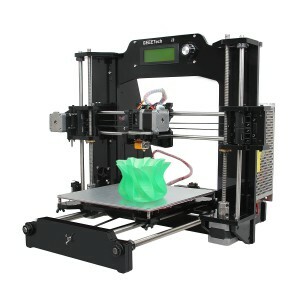 Great printer, i received it yesterday and put in together yesterday evening and this morning. Had som allignment issues in the Z axis because but some minor ajustments all in working order. Im now after a day of alligning and learning the software printing my first product; the mountning for the 3dtouch sensor. Thankyou Geeetech for this nice printer. Hi Joeri ,glad to hear that ad thanks for your feedback here. Hi i am from Chile the free shipping arrive here? I received my printer as a Christmas gift and am about to start to put it together. I would like to know do I have to take off the paper covering the Acrylic and if so the best way of doing it Thank You. Hi Alan ,depend on people ,who like to keep yhe tap or remove it ,both are ok to print . I would like to order the Geeetech Prusa I3 pro B 3D. What will be the delivery time to Belgium? Will it be shipped from a warehouse in the EU? Hi Guy ,now we have several balance on the EU warehouse ,and normally need about 5-10 days for the delivery . Hi, your delivery is fast and the printer is well packed. Unfortunately after turned on power the USB cable became extremely hot when plugged in to computer. As a result, it caused my computer unable to recognize the printer. I have already email to technical support about this problem. Hopefully I can have my first print on my new Pro B printer soon. Hi Alan ,sorry to hear that ,COuld you pls send me your email so that i can ask our tech to check ? Hi, what is the best price you can do this printer delivered to London from an European warehouse? I found it cheaper elsewhere but I would prefer to buy directly from you. Hi David yes it has oen year warranty and if there have some parts for quality problem we will resend new to you. Hi David ,when will you would like to buy? i think tomorrow or today. HI David ,you can wait the Black Friday ,we will have some dfisocunt .Pls note with thank. will this printer have discount? how long is the discount? hello my writer's frame is broken where can i buy the new one? Hi Sefa ,you can email to me :zina.luo@geeetech.cn .I will check and help you . Where do I have to send the printer in case of warranty (I live in Germany)? What about customs duty? Thank you for answering, will replacements be free of customs tax or do I have to pay them? Hi Tim ,normally some small part no need customs tax . Hola, ¿la impresora viene desensamblada ? Buenos días desde México un cordial saludo, mi pregunta es: ¿Viene desmontada o viene montada la impresora? es decir necesito la misma impresora y me interesaría que viniera desensamblada me podría dar información con respecto a ese detalle. Le agradezco, saludos. Hi, I have Acrylic Geeetech Prusa I3 pro B 3D, After I mount it, when I select "Prepare_ Auto home" the extruder goes to the bottom left instead of bottom right, like in the video. I verified the wires and the connection to the board, it's look like OK. Any help. Thank you. Ramzi. This is the first 3D-printer for me and after deeply scanned the internet i desided to order the Geeetech I3 Pro B. Maybe not the perfect printer but for it's price it seemed to be the best starter kit You can buy with lots of information on the net and support from Geeetech. Living in Sweden (EU) i ordered on Ebay from Geeetechs official (?) warehouse in Germany/Belgium. The order was effected very fast and in just a couple days my kit was delivered at my door. Everything is very well packed and all the small parts are nicely sorted in numbered plastic bags. The build it self is very easy and stright forward if you have at least some basic knowhow in mechanics and electronics and know how a Allen key (supplied) looks and "works".. The instruction are good and if You the slightes question just watch the instruction videos Geeetech provides on Youtube. Just take it easy and check (and doubble check) all measurements and angles and keep it stright and parallell. 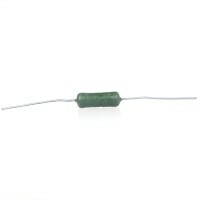 The quality of the supplied parts is quite good. No rockbottom cheap screws and fasternes with lousy threads and so on. The soldering on the PCBs looks fairly good too. My printer sprung into life directly and with supplied firmware and Cura as slicer it have printed everything quite OK so far. Just take Your time calibrate everything "by the book". BUT... I have one issue so far (and that was, sorry to say, now surprise) One of my threaded rods for the Z-axis is quite bent. I've tried one of the "Z-axis anti wobble-kits" found on Thingiverse but the rod is to bent for it to be eliminated by the fix. So now i'm going to the local hardware store and buy a stainless steel rod to replace the 2 stock Z-rods. All in all i can say, as Damien below, don't hesitate! Buy a Geeetech I3 printer and plunge into the wonderful world of 3D printing. Be prepared for some tweaking but i don't think You can avoid that with any printer. This is the first 3D-printer for me and after deeply scanned the internet i desided to order the Geeetech I3 Pro B. 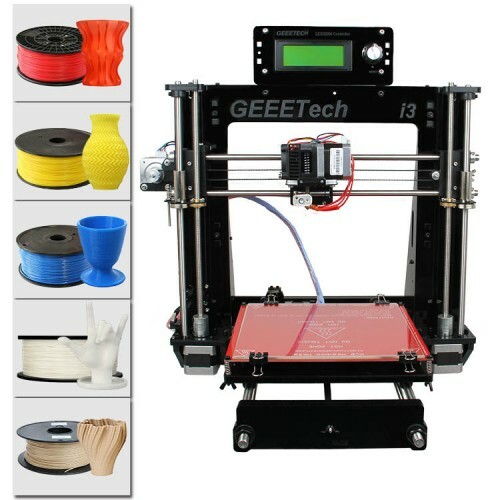 Maybe not the perfect printer but for it's price it seemed to be the best starter kit You can buy with lots of information on the net and support from Geeetech. Living in Sweden (EU) i ordered on Ebay from Geeetechs official (?) wharehouse in Germany/Belgium. The order was effected very fast and in just a couple days my kit was delivered at my door. Everything is very well packed and all the small parts are nicely sorted in numbered plastic bags. The build it self is very easy and stright forward if you have at least some basic knowhow in mechanics and electronics and know how a Allen key (supplied) looks and "works".. The instruction are good and if You the slightes question just watch the instruction videos Geeetech provides on Youtube. Just take it easy and check (and doubble check) all measurement and angels and keep it stright and parrallell. 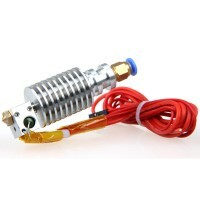 The quality of the supplied parts is quite good. No rockbottom cheap screws and fasternes with lousy threads and so on. The soldering och the PCBs looks fairly good too. My printer sprung into life directly and with supplied firmware and Cura as slicer it have printed everything quite OK so far. Just take Your time calibrate everything "by the book" BUT... I have one issue so far (and that was, sorry to say, now surprise) One of my threaded rods for the Z-axis is quite bent. I've tried one of the "Z-axis anti wobble-kits" found on Thingiverse but the rod is to bent for it to be eliminated by the fix. So now i'm going to the local hardware store and buy a stainless steel rod to replace the 2 stock Z-rods. All in all i can say, don't hesitate! 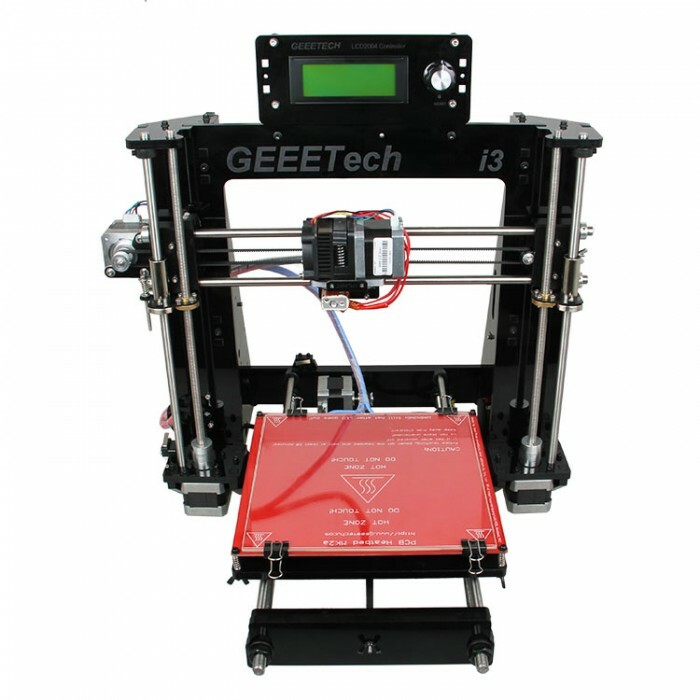 Buy a Geeetech I3 printer and plunge into the wonderful world of 3D printing. Be prepared for some tweaking but i don't think You can avoid that with any printer. Hi Damien ,How are you?Thank you for letting me know.I will add you on facebook and you can share some and i will forward by your facebook. Have a nice day! Hi. When this states 220v input, do I need to connect this through a power converter if connecting to a UK mains plug socket? Hi quick question. 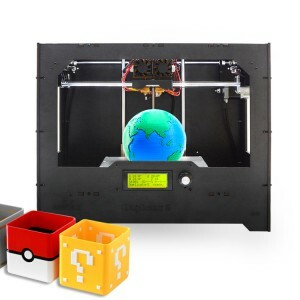 I'm looking at starting out on a 3D printing journey and this kit looks like a good learning experience. First newbie question though, the input states 220v, does this mean that I also will need to buy a step down power converter to connect this into a standard Uk plug circuit? Hi Mark,for the UK standard ,so no need to worry that .Also this printer have stock in our UK warehouse and can dropship from our UK to you to avoid the expensive customs tax . Hello everyone. I acquired this printer here 3 weeks with a level sensor, motherbird GT2560 and bed of 210 * 210. Since I try several firmware or I modify the basic firmware according to the manual. Unfortunately all present errors and I can not seem to correct. Either the Z endstop does not work, or the touch level indicates an error, or it happens that the nozzle drops lower than the upgrade, etc .... Would any of you have managed to get a firmware really operational and perfectly adapted to this printer? Thank you for your help. Hello i have some trouble with the 3d touch sensor. It does the startup test but when i try to home it wont deploy and just go straight down in the bed. I have tried some different firmwares but nothing has changed. Do you have any idea what could be wrong? 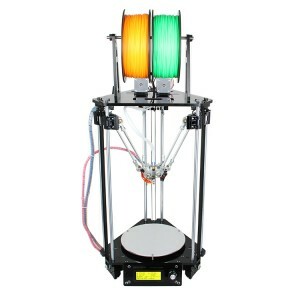 I bought a model like this, the threaded rods are not straight, impossible to print anything ... I changed the rods, and other problems have happened ... The extruder is totaly Plastic so got blocked all time ... The sensor for the bed not work ... Buy a new again ... Finally I "finally succeeded" to print a parts with this machine ... And the wobble is just disgusting ... No support answers after 30 days and 3 emails, this printer has nothing of a machine pro, and still less the support of geeetech. Hi Cluny ,sorry to hear that ,could you email your detail to my email:zina.luo@geeetech.cn,so that i can help. ok I ll send you an email. Cant send email got this from Gmail: Delivery incomplete There was a temporary problem delivering your message to zina.luo@geeetech.cn. Gmail will retry for 46 more hours. You'll be notified if the delivery fails permanently. 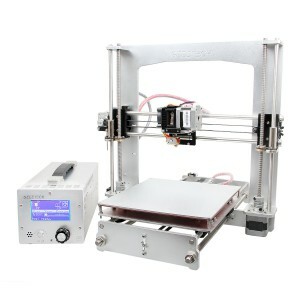 Hi, I bought this printer and I also bought a "3DTouch auto bed leveling sensor", how can I install it in my Prusa I3 pro B? Could anyone help me? Tks. Dear Zina Luo, thank you very much for your response! 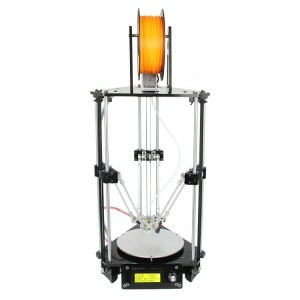 Is it possible to add a second extruder later on like a self-upgrade to a pro c. For now, I can only afford a pro b and want to eventually have two genuine e3d v6's on this printer. This printer would be my tinker printer to kinda refine to my needs and self-upgrade. Also if I got the pro c does the auto level sensor work with that out of the box? Thanks, also ended up breaking the acrylic part for the Y step motor mount "I3-13". Is this also available? hello Justin,you can send email to me :zina.luo@geeetech.cn and i can send a STL file for you to print by yourself. I had defective part - the linear bearing part Number 36 (LM8UU). The ball bearings fell out. How do I get a new pair? Hi Justin,you can order here:https://www.geeetech.com/2pcs-lm8uu-linear-bearings-p-673.html ,it's the Y axis bearing . Hello, I've received my pro b printer few days ago and assembled it with success. Now I'm facing a problem with extruder: Filament is well placed in the groove and gear but i'm only getting a very thin filament out of the nozzle. seems like nozzle is partially clogged. How to verify it ? 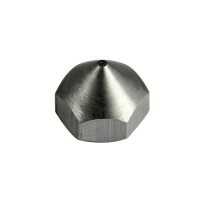 What is the standart nozzle diameter: user manuel says 0.4mm but on mine it is engraved 0.3mm. In slic3r, I set it to 0.4mm like mentionned in the user manual : if in real it is 0.3mm, could it be a reason for this "thin filament" out of nozzle when extruding ? Thank you very much for your support ! 10 hours to loading the driver? 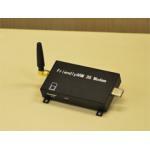 The USB driver will be automatically installed, if not, please download it and install manually. If you need any help, please contact our tech support. Is there a human on the planet that can start this device. I have spent 10 hours just trying to load drivers. Nice complex paperweight. yes, we send the invoice along with the printer, if you need a copy, please contact our sales. Hi, I received bent rods... sent a mail with pictures and more details to the getech01@163.com Is this the correct e-mail address ? Thanks! I am in Italy and planning to buy also the leveling sensor. Do I get both items shipped from Europen warehouse (DE or UK) or from China ? Installation of the sensor requires editing of the firmware or it comes ready ? How much filament and what material is included in the package ? Hello Cesare, the leveling sensor will be shipped from China. You need to modify the firmware by yourself referring to the user guide. The starter filament sent with the printer is 3m, PLA.So, it you do not have any filament, please order it together, it will be shipped from China,too. so trying to load the firmware but keep getting an error. "using typedef-name 'fpos_t'after 'struct' what dose this mean... how do i fix. Did you choose the board type? 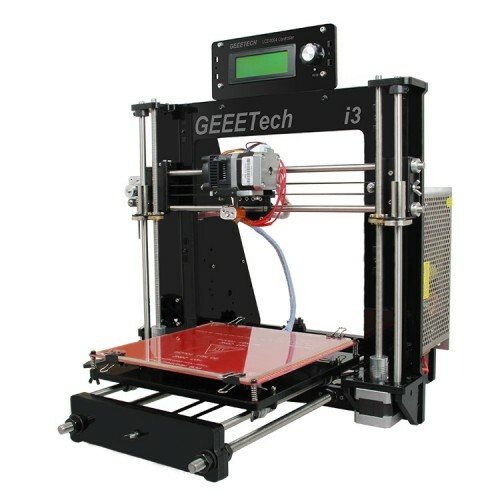 please refer to this instruction: http://www.geeetech.com/forum/viewtopic.php?f=20&t=17181 if the problem still exsists, please contact technical@geeetech.com. 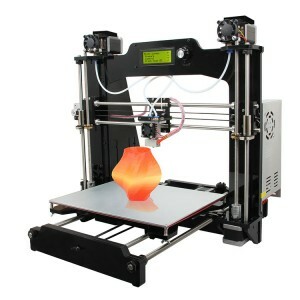 I have this printer andiI would like to upgrade it to the aluminium frame can you purchase the frame separately ? yes, you can, but the aluminium frame do not include the side panel which means there is no place to mount the power supply unit. if you need it, please contact our sales for it. scroll up, you can see the building instruction. Please refer to the building manual. I would like to purchase the entire electrical wiring for this printer how caniI do that? the wires for GT2560 3D printer control board? Is the filament that comes with the kit abs or plastic? I'm ready to test my printer and need to know which configuration to use. hello Stephen, the starter filament is PLA. I have build this printer and have two issues: -The x-axiz motor works reveresed. When homing it try to find the stop-switch to the right. Bad! How do i fix this? -The Repetier cannot find the printer. Only drop down option in Connect is default. Whta do i need to get the Repetier fond the i3 pro from Geeetech? Hello , you need to change the motor direction of the X axis. please refer to these. 1. download the firmware here for your printer model. www.geeetech.com/forum/download/file.php?id=2819 2. change the motor direction according to this instruction: http://www.geeetech.com/forum/viewtopic.php?f=17&t=17037 2. upload the firmware for GT2560 control board http://www.geeetech.com/forum/viewtopic.php?f=20&t=17181 as to the use of Repetier, please refer to the user manual of this printer, you can download it at the document section of this page. If you need further help, please feel free to contact us. Hello Pietro, the current of the motor is 1.5A. 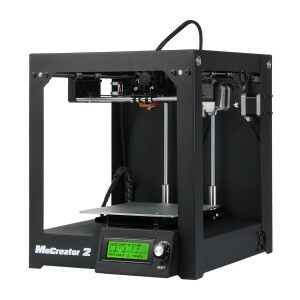 I have this printer and I need to replace the stepper motors. What model number are they? Can you use the GTM32 board with this printer if yes what order do you plug the stepper drivers in? because I'm having problems with this printer and I bought a GTM32 board by mistake. I have installed the GTM32 board and I am still having the same issue. the x and y motors are making a grinding noise and are not moving properly they were working fine before. I didn't change any settings do you have any idea what it could be? hello Camille, i am sorry to tell you that ethernet connection is not available on this printer. what is the volume you set in printer setting on the software please? 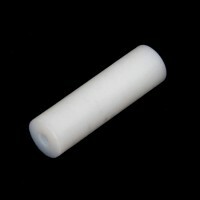 hello, please provide me your order number if you bought in our website, we will send you a replacement. Hi. I bought it on eBay. How could we do? You say "1This product is currently in stock in our US ,EU and AU warehouse. For customers from the above countries, we provide free shipping and free tax." but when I add printer to cart and goto check out, you add £81.10 to the cost. Why is this? because you need to contact our sales so that she can change the shipping cost for you. Hi Rita. The picture shows a plastic extruder fidder but the build instructions show a aluminium extruder feeder, can you tell me which one it comes with? Thanks Rita SKU:800-001-0449 in Short Right Hand, would this be a direct replacement in aluminium? Hello, How much is shipping cost to Hungary? 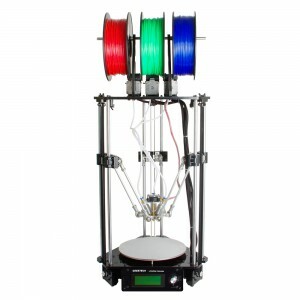 Are there any differences beween Geeetech Acrylic Prusa I3 pro B and prusa i3 hephestos? Thank you for your support! Hello Szilárd, the shipping cost is $99.69 to Hungary. As tp the difference, you can see the difference of the two looks and compare the main specs. Hi! 2 questions, 1- Come with some Pla or Abs filament? 2- What is the difference between this kit and this one? 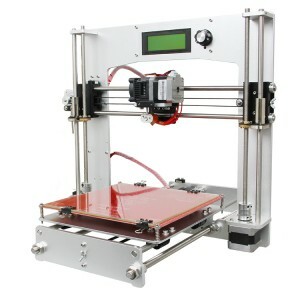 : http://www.ebay.es/itm/Duty-free-Geeetech-Acrylique-Reprap-Prusa-I3-Pro-B-3D-imprimante-3D-Printer-MK8-/231911254318 Thx! Hola mi impresora no imprime bien la altura de las piezas no las hace bien no sube correctamente que puedo hacer? I ordered this printer, the website says that it is on stock in the eu but i still havent got a tracking number that it has been sent. On the 10th of sep i got an ordernumber When will i get the printer? Hello Mathijs, thanks for reaching us, can you please provide me your order number, i will check it for you. your printer has been sent , please check your email. 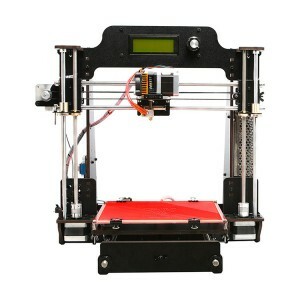 Looking to buy 1st 3D printer.Very mechanically inclined.Should I get I3 Pro,Pro B,Pro X,and why?Which is best and for what reason?Thank You! that's great. 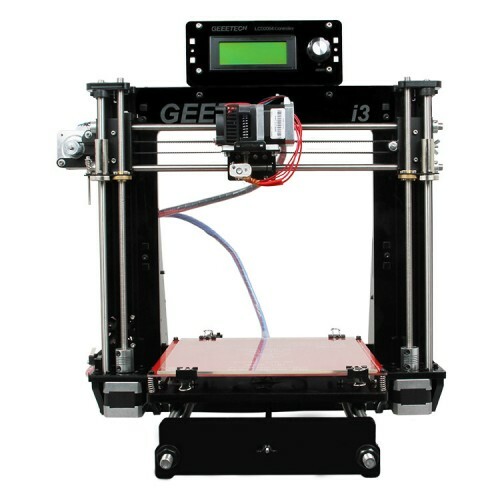 But your printer is the pro X not this pro B :) http://www.geeetech.com/geeetech-unassembled-prusa-i3-x-3d-printer-diy-kit-p-941.html Thanks for your support, looking forward to seeing more great printing works from you. Hello, one online seller did not put the sd card in the kit. Claims that you do not invest. Yes, he is right.We do not send SD card. You can check the packing list. the official kit doesn't include SD card, maybe the reseller means it support SD card, but not meaning sending a free SD card. Or some reseller will provide something to promote the product. You can contact the reseller for explanation. Where can I find complete assembly instructions? you can find in the document section in this page. Did you re-install the USB driver? Or Can you change another USB cable? Hello, I would like to know if you can use Carbon Fiber Reinforced PLA with this printer? Thank you for your help. what is the melting point and the strength of the Carbon Fiber Reinforced PLA ? If it is similar to PLA, you can try. 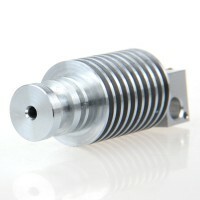 I don't know the strength for the filament but max temperature is 240 degree C.
if you have the filament, you can try. The temperature is ok.
How much is shipping to Bogotá, Colombia ? it is about $230 via EMS. Hello, I just finished assembling the Pro B printer and the rear support plate I3-a12 has 4 holes in it that are aligned with the 4 holes in rear support plate A, I3-11. There are 2 bottom holes for the 10mm threaded rods. These go through both plates. On top of these holes there are 2 holes for the 8mm smooth rod in both plates. These holes allow the 8mm smooth rod to come out from the back of the printer. Are there supposed to be holes for the 8mm smooth rods in both plates? Am I suppose to use item 20, screw locking ring on the smooth rods? yes, you need to use the locking ring to fix the smooth rod. Also I have a question with the warm bed. The thermistor measures the temperature at the bottom of the bed, but the temperature obtained in the upper surface of glass borosilitcato is about 20 ° centigrade lower. I have problems printing on ABS for this reason. I do not get reach the necessary 100 degrees. I modified the position of "clicks" and put a piece of wood under the bed, to improve contact between the bed and the glass. I managed to raise a few degrees on the surface, but the maximum temperature that I get is 85 °. Any solution or something is wrong? Thanks in advance. Hi, Please, could you send me the latest version of the software? Another question, I used Marlin software, other software can be used with this printer? In addition, I have problems with the Z axis When ordered search the end, in the other axes movement is correct. 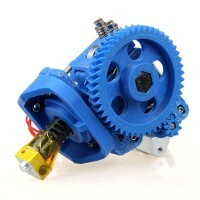 But Z axis motors, not down the extruder, the extruder only rises slightly and stops. With each command to seek the end, I get the same result, not down and up a little more. Thanks in advance. Hi,Tooper Your software means Repetier Host?And yes,you can use other software like simplify3D.About your Z axis problem,have you homed your Z axis before your movement,it matters a lot. I get €88.26 for delivery in Lithuania. But in description it says free delivery to EU. How to select free delivery option? Please contact sales@geeetech.com, they will send you paypal invoice. I see in item description written free delivery to EU. I am in Lithuania and when I add to cart, I get €88.26 price for delivery. How can I select free delivery option ?